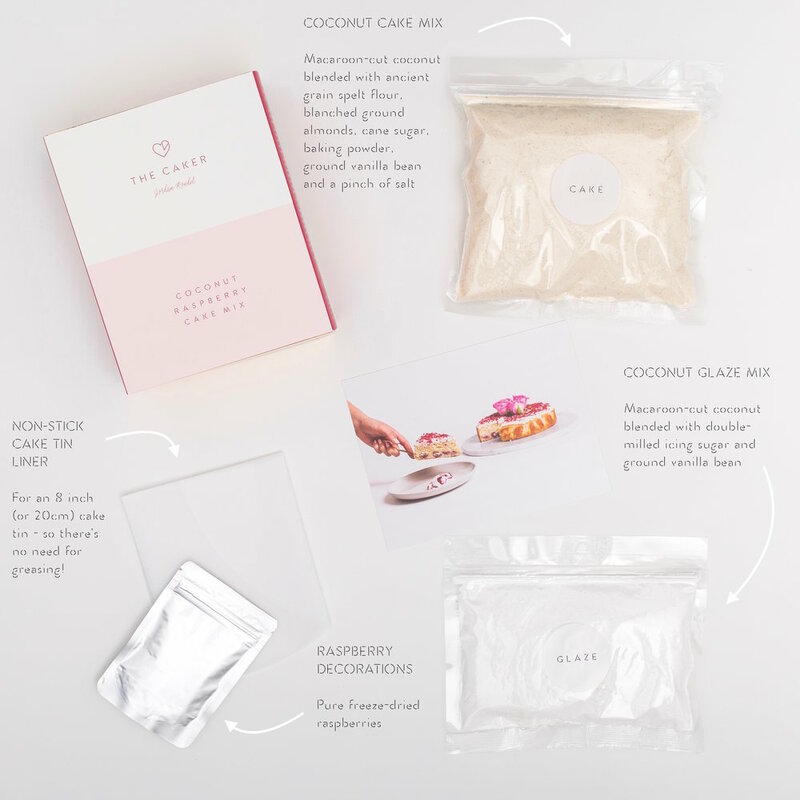 This cake kit is the one for coconut fanatics! Tart and juicy raspberries compliment the textural cake beautifully and the sachet of freeze-dried raspberry crumble allows you to add a true Caker touch. All you need to add is milk, butter and raspberries (fresh or frozen). Best before 20 November 2019. You need three of our Coconut Raspberry cake mixes to make a two-tiered cake for 40 people. The video above was too long, so we've sped it up a little! But I have put the full instructions on how to make this incredible cake from our Coconut Raspberry cake mixes on our blog - find them here. We made a little video to show you how easy it is to make babycakes with The Caker Coconut Raspberry cake mix. They are about 2 bites in size and you can get 30 out of one mix! Simply source babycake papers which are 3.5cm diameter on their base and get baking. Find the full recipe here. Our ever-popular Coconut Raspberry cake mix makes a beautiful coconut cake, dotted with tangy raspberries. If you're making this one at home you can give it an extra lift by adding some lemon zest to your cake batter and glaze. Serve it with a drizzle of lemon curd and some creamy coconut yoghurt for a perfect afternoon tea. 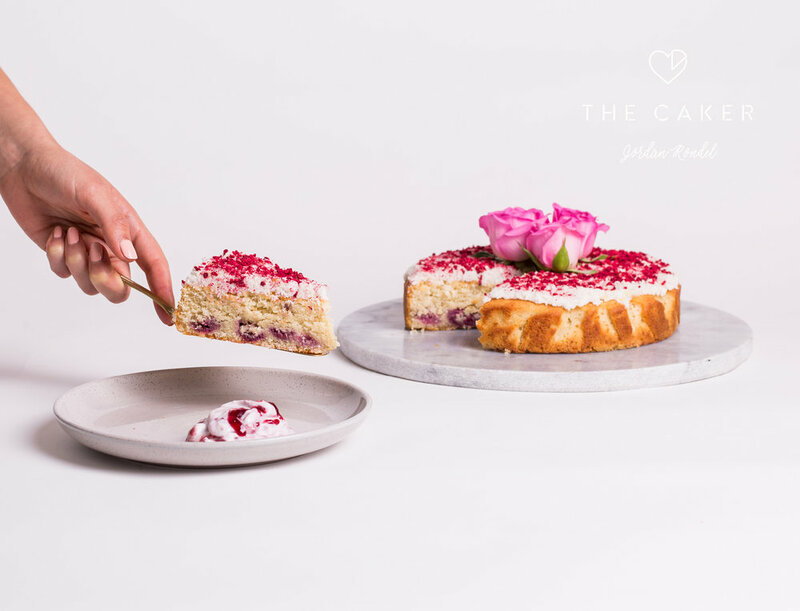 Keep an eye on this section of our blog because we love posting images of your cake mix creations - don't forget to tag @thecaker on Instagram!